Interview with Stuart Quinn, a filmmaker with Asperger’s Syndrome. Stuart made a short film about what it is like to have Asperger’s Syndrome from a personal perspective. AS101: Hello Stuart, thank you for sharing your film short with our Aspergers101 audience. First, tell us a bit about yourself. 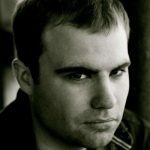 Hey I’m Stuart, I was diagnosed with Asperger’s Syndrome when I was 15 years and I am a filmmaker based in the UK. AS101: How did you come to make your film titled “A. Syndrome” about living with Aspergers? The film came about during my 2nd year of Drama School which in the first term we had to make a short film. The short had to be something about ourselves. It didn’t have to be directly about ourselves but maybe a theme or something that personally about us. I chose to explore what the world is like from my subjective point of view with Asperger’s. AS101: Who is the actor and is he also on the Autism Spectrum? Although lead character is based on me I wanted to keep an open mind when it came to casting and just find the right person. During the casting I needed to find someone who could bring the emotional qualities to the character but also do it without speaking and his eyes tell the story. Mario Pace who is the lead actor brought what I needed to the film and I was thrilled when came in to audition and gave a brilliant performance. Mario isn’t on the spectrum but he brought the emotional core to the character more than anyone else. AS101: How is your film being distributed and what are you hopes for people who view it? The film is available to view on YouTube with my YouTube channel for free as I want everyone to have access to view it. I would like the audience to make their own mind up when viewing the film because I have always felt the best stories I have loved always leave it up to the audience how they feel about the story and subject matter. I do hope that maybe it will inspire anyone who wants to make a movie to make one and don’t listen to negative people who say otherwise. AS101: What would you like to say to those reading who are trying to better understand Asperger Syndrome? Because the spectrum is so huge it’s very hard to totally understand it. Although information can be found by talking to doctors or information online etc, I think it comes down to understanding the person and who they are. Everyone who is on the spectrum will not act or respond in the same and others have different needs than others etc. AS101: Lastly, how could someone get in touch with you if they would like more information about you or your film?